Grab Malaysia will offering GrabPay e-money services in Malaysia starting next year, after it has successfully obtained regulatory approval from the Bank of Negara Malaysia. Launching in stages in the first half of 2018, GrabPay’s e-money services, aims to provide Malaysians a simpler, safer and more rewarding mobile payment system. The new GrabPay e-money services are built to help customers and merchants in emerging economies like Malaysia and elsewhere in Southeast Asia go cashless and cardless, with no more forms to fill in and no more queues, the company said in a statement. Through the same Grab app, consumers will be able to access its transport services, as well as, everyday services, including payment for food and drinks, the latest gadgets in shops or making transfers to friends. According to statistics by Bank Negara, cash handling and services cost RM1.8 billion a year to the banking industry and electronic-based payments may result in savings amounting to up to 1% of a country’s economy due to lower retail payment cost versus cash transactions. In addition, Malaysia is poised to rapidly move towards a digital-first economy thanks to a combination of technological innovation and progressive policies, such as the Malaysian Financial Sector Blueprint 2011-2020 which aims to increase the number of electronic payments per capita to 200 by 2020. 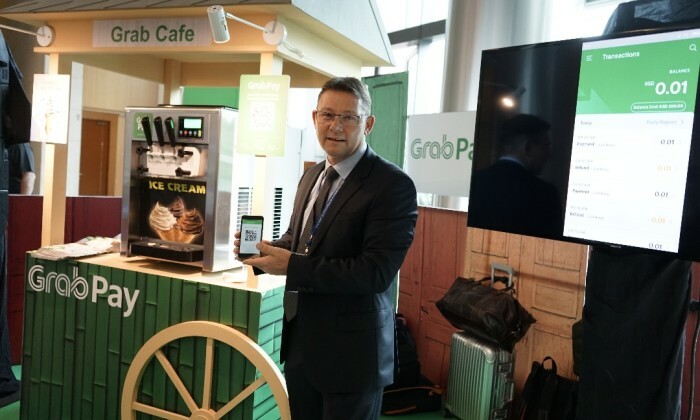 Jason Thompson, managing director of GrabPay said, cash is still the most important payment method for many Malaysian SMEs and middle-class consumers, despite most adults having a deposit account. “As one of the region’s most frequently used consumer apps with 72 million downloads, we are happy to work with Bank Negara to drive mass adoption of mobile payments in Malaysia and across Southeast Asia,” he said. Thompson added Grab has also taken a number of measures to ensure the privacy and security of GrabPay transactions, including a six-digit GrabPay PIN as a second factor authentication (2FA). Customers with a certain amount in their GrabPay e-money wallet account are required to activate the PIN. The Grab app will then automatically prompt users to input their pin number when it detects any unusual activities. “SMEs can tap into Grab’s large pool of consumers without the hefty burden of big advertising and marketing budgets. For our many Grab consumers, it means they can benefit from mobile payments without having to download a new app,” Sean Goh, country head of Grab Malaysia added. The Marketing Excellence Awards is back for its fourth installment, with a renewed vision to unearth Hong Kong’s best practice in .. In a rare mission to land a branded space capsule up on the moon next year, Pocari Sweat (寶礦力水特) has kicked off a slew of promotio..